COOKING. Experienced chef and TV personality Reuben Riffel is the new judge on Masterchef SA. Reuben’s One&Only guarantees a two-course menu in under an hour, or your money back. 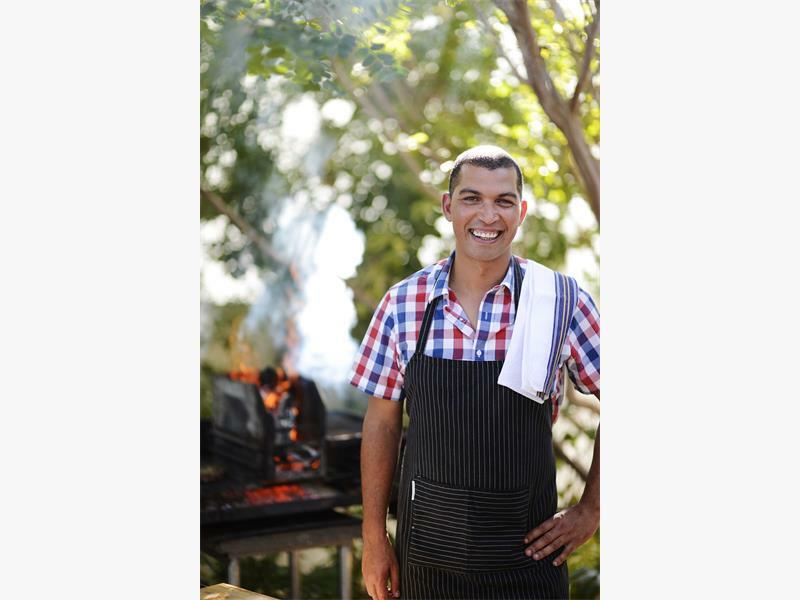 South African celebrity chef Reuben Riffel is doing something new. Reuben’s One&Only (at the deluxe One&Only Hotel in Cape Town) presents a business lunch menu that guarantees you’ll enjoy a two-course menu in under 60 minutes, or your money back. As one of South Africa’s most cherished celebrity chefs, Riffel recently launched new lunch and dinner menus that happily marry sophisticated dining with a moreish brasserie-style menu. The good news is your lunch includes complimentary Wi-Fi and access to the resort’s business centre boardroom.